Our studio thrives on collaborations to push our studio practice to new territories. Since our earliest projects, we've discovered the intrinsic value by working with others to exchange ideas, skills, and approach - each collaborative conversation opens up new possibilities while expanding beyond our day-to-day studio practice. This spring, Sight Unseen approached us with a simple brief for their project 'Field Studies': collaborate with a respected creative to create an original object to benefit charity. We responded by expanding upon our previous collaborations with clothing brand KAAREM, who's focus on materiality, form, and movement in space is perfectly aligned with our ethos. Our mission was to transform the materiality and function of Kaarem's textiles while preserving its magically etherial spirit. 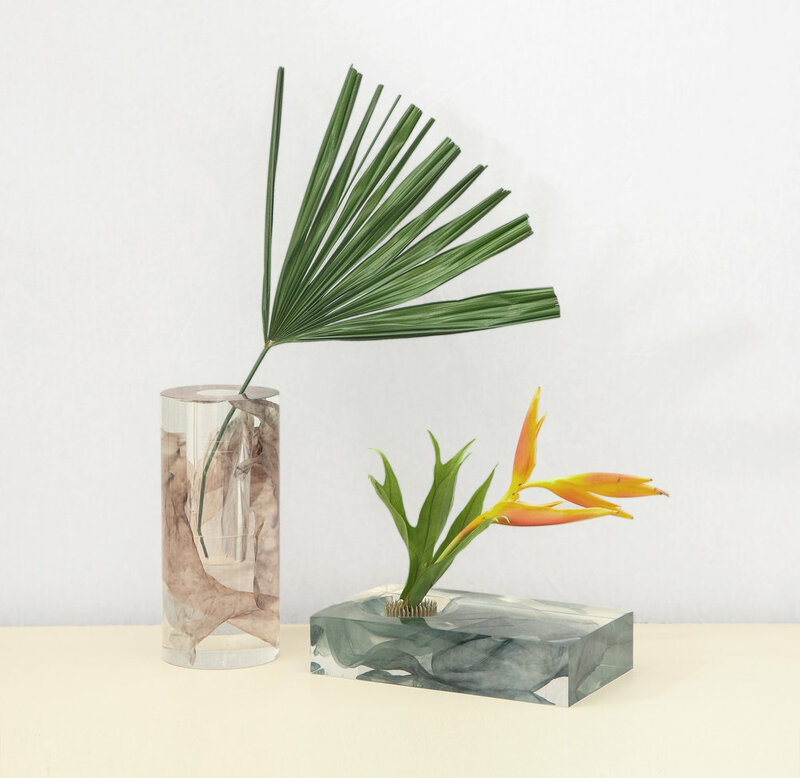 Through the method of resin casting, we were able to achieve a feeling of still lightness by suspending the Kaarem textile magically in a clear block form creating a series of one-of-a-kind Ikebana bases and vases. Previous collaborations with Kaarem include our Scales and Folds photoshoot, and the Alignments Lookbook, two series shot by Kaarem and styled by L&G within immersive environments. 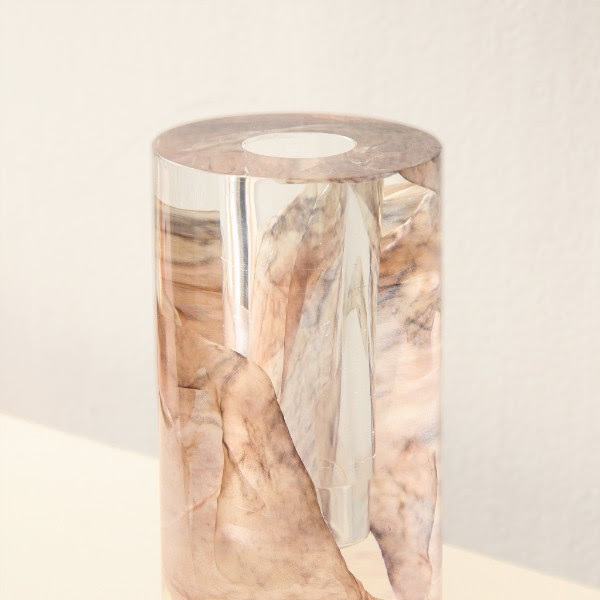 Our collaborations come in many forms - whether it's applying our ideas to an environment, pushing boundaries of process with talented craftspeople, curating exhibitions, or coordinating workshops, these projects are critical to our studio's explorative approach. Should you have a special project you'd like to explore with us, please contact us!